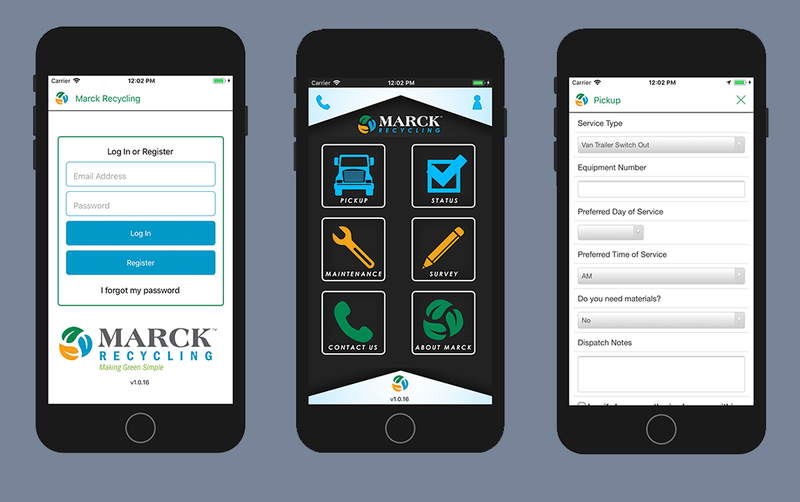 Mobile apps to manage and request for pick up service for Marck Recycling. Quality software produced in a client-focused development environment. Copyright © McMurtrey/Whitaker & Associates, Inc. All Rights Reserved.